Yesterday we had friends from Piemonte visit us for the day, so we took them on a personalized tour of my own making of the region. A vending machine tour. 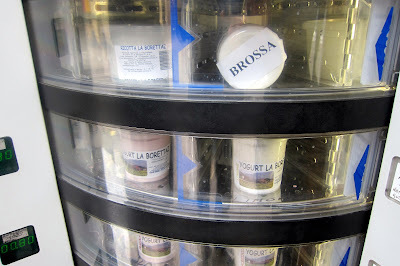 Because Aosta has some pretty spectacular vending machines. You’ve already heard about my dairy farmer neighbors with the raw milk vending machine. That was our first stop, since it is close by and oh so spectacular! Raw milk. 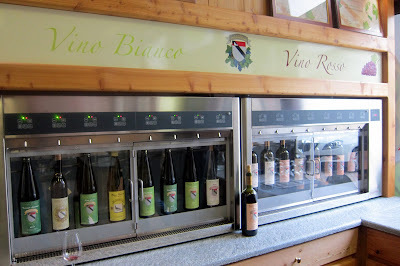 Bring your own bottle, put in a euro, and press the button! They also have a dairy product vending machine right next to it. 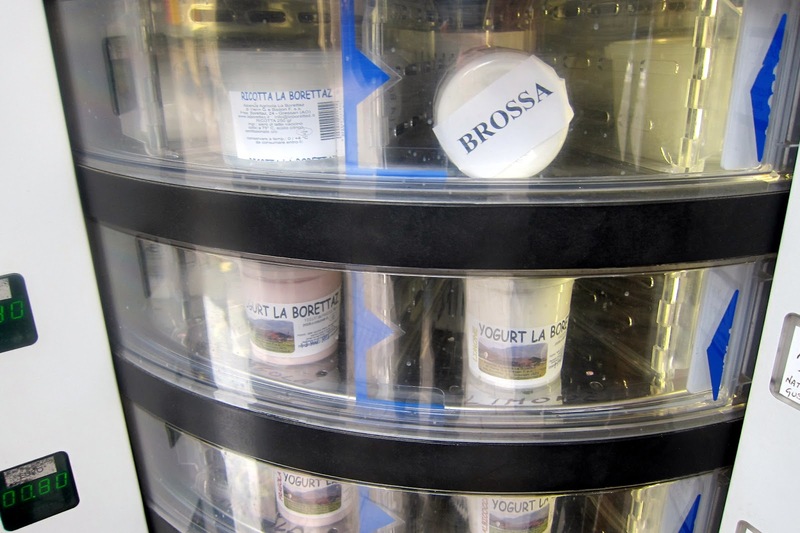 You can choose from fresh butter, Fontina, aged Valdostano cheese, reblec, ricotta, brossa, and many flavors of yogurt. Next stop was a nearby vineyard cooperative, Cave des Onze Communes. Because, you know, you can’t eat cheese without a bottle of local red. It’s a rule, I’m sure. 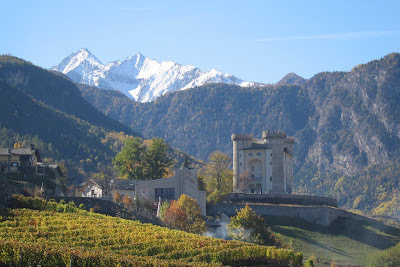 They are about a five minute drive from our house, and are located right underneath a very castle-y looking castle. The castle is on the right, the vineyard on the left. Before last year, you’d have to risk being chased off by the grumpy woman running the wine shop if you asked for a wine tasting. But not anymore! 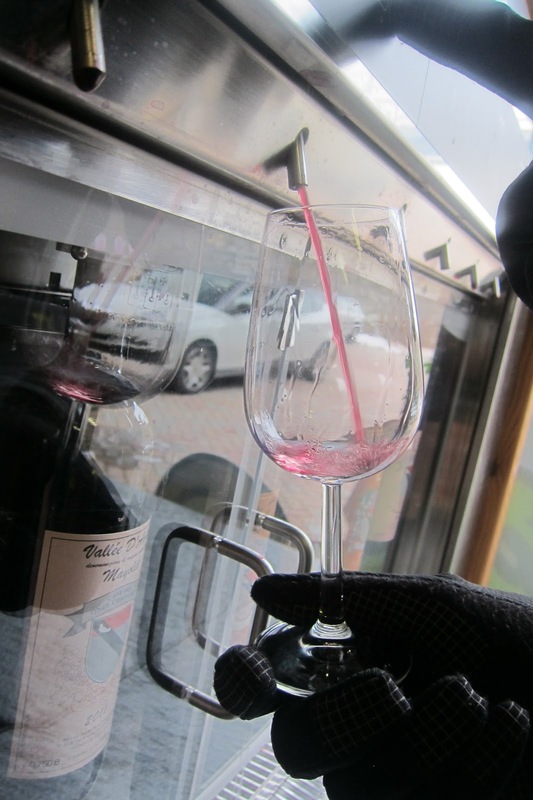 They installed a wine vending machine, where you can hold a glass up to the machine, press a button, and a perfect amount of wine for tasting is automatically squirted into your glass. And it’s free. 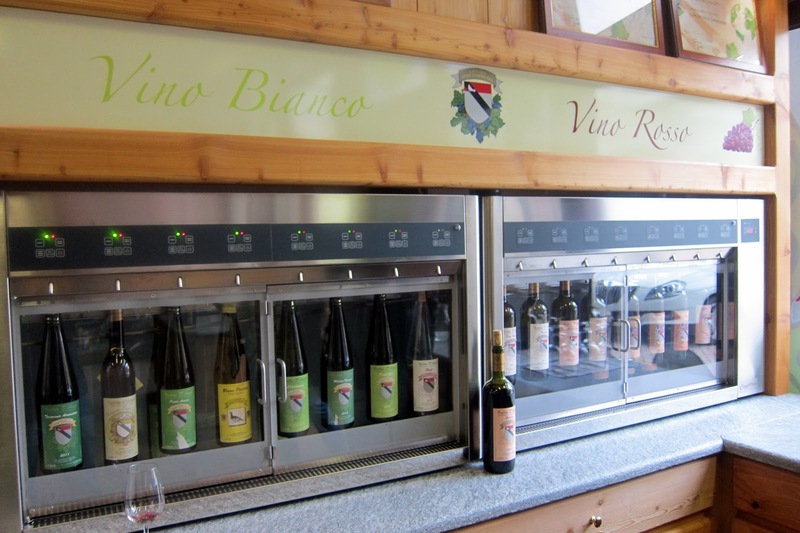 They have a large selection of their wines…. After all that raw milk, cheese, and wine, I took them to the next logical vending machine, this time smack in the historic center of 2000 year old Aosta. 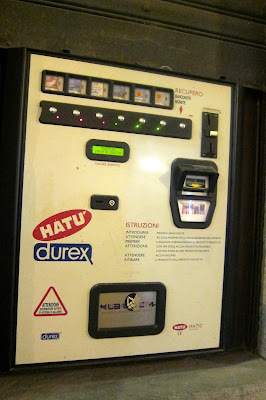 Condom vending machine on the street! They also have a wide selection…. Boxed wine…ew. Fortunately, they also have small bottles of champagne. And a soup vending machine, to go with the sandwich. You can choose from tomato, mushroom, or cracker soup. You can even have a healthy dessert of yogurt! They used to have a spaghetti vending machine, but they must have taken it out, and I’m really bummed. Because spaghetti is the obvious pairing to go with with condoms, boxed wine, and yogurt.